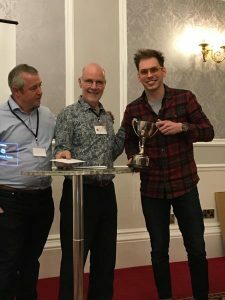 Bill Bird Shoes scoops award for 2nd year running! 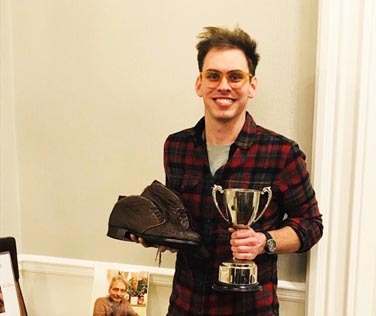 Apprentice shoemaker George Paish has walked away with a prestigious accolade just five months after joining Bill Bird Shoes in Blockley with no previous footwear experience. 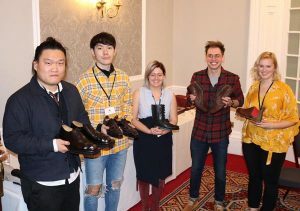 The 26-year-old trainee from Moreton in Marsh was named the winner of the 2019 David Xavier Student Bespoke Shoemaking Award at the Independent Shoemakers’ Conference in Harrogate at the weekend (Feb 22-24). This is the second year running that the award has been scooped by a budding shoemaker from Bill Bird Shoes! Bill Bird Shoes apprentice George Paish from Moreton in Marsh was presented with a silver trophy, £200 cash and £200 in leather vouchers. He is pictured with his winning boots, handcrafted wooden lasts and portfolio, alongside a photo of the late David Xavier. 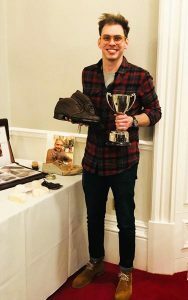 Not only were his leather Derby boots with suede and zip detailing the first pair he had ever made but this born and bred Moreton apprentice beat off stiff competition from two international graduates from the prestigious London College of Fashion and two entrants with Master’s Degrees in Footwear Design. “I am delighted to have won as I really didn’t expect to. I chose the design as I wanted to create something different and eye catching that made people want to pick them up and look more closely,” said George. 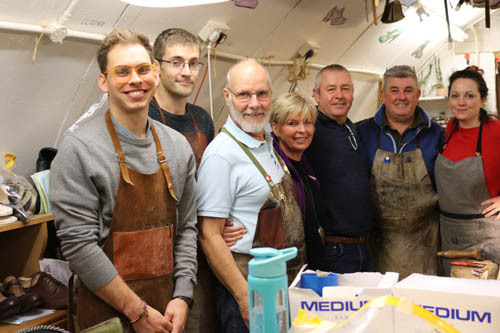 “As the boots were made to my measurements I was able to experience the whole shoemaking process from both a client and maker’s perspective, which was a valuable learning experience and gave me an appreciation for the work we do. The David Xavier Student Bespoke Shoemaking Award entrants with their shoes. 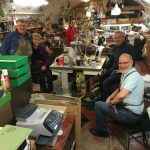 The award, in memory of Midlands’ shoemaker David Xavier, challenged budding shoemakers to make footwear to accommodate a medical condition. George’s boots accommodated high arches, rear foot equinus (where the upward bending motion of the ankle joint is limited), as well as a wide foot and high sitting toes. Well done George, we are all really proud of you!